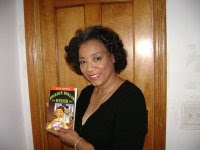 Arlene Jones - Featured Columnist Austin Weekly News: Obama Girls - Can they become the role model for young black American Girls? Obama Girls - Can they become the role model for young black American Girls? The Rev. Jeremiah Wright said an attack on him was an attack on the black church. On a very basic level of that premise, I agree with him. The black church-just like black people-does not represent a monolithic experience. On Sunday, black folks hear a variety of sermons in a variety of ministry styles. We have prosperity ministries, Baptist ministries, sanctified ministries and just like the style of Rev. Wright, we have activist ministries. We have a variety of ministries to choose from to meet our spiritual needs. In addition to spiritual needs, our community is also in dire need of role models. So when Sen. Barack Obama becomes president (I'm claiming it already), I hope his two young daughters Malia (9) and Sasha (6) will become role models for all young girls all over the country-and especially for young black girls. I had been watching the news reports of Sen. Obama campaigning in Indiana with his family this past weekend. What I noted most is the manner in which his daughters acted and dressed. They aren't the sassy, smart-mouthed image of black girls, portrayed far too often on TV sit-com shows featuring black families. Instead, in both stature and behavior, they are two little black girls who have been permitted to be young children by parents who are not putting them in outfits with "JUICY" written across their butts. What caused me to see the need for the Obama girls to be the future role models for our young black girls in particular? Well, it was a news report over the same weekend that told of five young women from the West Side who, even though gas is almost $4 a gallon, drove through Austin, then Oak Park, then River Forest and finally into Maywood to rob a store. The owner of the store was suspicious when two of the girls walked in, so she used an electronic lock to lock them in the store. According to published reports, those two girls then called their friends who used a bat and a golf club to bust out the door, and they all drove off in the getaway car. They then subsequently crashed the car and, true-to-form, abandoned the vehicle and left behind the 7-month-old baby of one of the robbers-to-be (motherhood sure ain't what it used to be!). Arrested were Lakenyal Lee, 26, of 1101 N. Springfield Ave.; Devonique Thompson, 20, of 4127 W. Jackson Blvd. ; Tyshyra Hines, 17, of 1030 N. Avers Ave.; Tamara Carter, 19, of 3829 W. Wilcox St.; and Britney Davis, 21, of 707 S. Campbell. Now those five individuals, who range in age from just-being-allowed-to-ignore-curfew to one-who-surely-by-now-should-know-better, are becoming the joke of the Internet message boards and blogs. Those websites not only give people who read the news report a chance to comment on the content of the story, people can also comment on anything they want. The most fun has been about the first names of those girls. Now I don't have a problem with the names. My problem is that if you give your child a unique name, then make sure if that name hits the newspaper, it's for something positive and not negative. We do a lot of talking in the black community about the power of the black church. I don't know those girls, but I would bet my last dime that each and every one of them has family members-or they themselves-attend or have attended a black church, probably right here on the West Side. Now if those five females had just done something to contribute to society, graduated with honors from college or done anything positive, I am sure the ministers at their family churches would be singing their praises from the pulpit. Something like: "Sister Lee's granddaughter Lakenyal has just graduated from Spellman. Let the church give her an amen," or an announcement in the church bulletin "that the church congratulates the Hines family on Tyshyra's acceptance into the pre-med training program at Howard University." But those aren't the reasons these girls got their names in the paper. So if the black church, which is now under intense scrutiny because of Rev. Wright, doesn't begin to speak out in harsh tones when its parishioners' children or grandchildren create havoc in our community, then the black church loses it credibility. Will there be a message from the pulpit that tells the congregation that "Devonique Thompson has brought shame to this church family and the Thompson family in getting arrested for trying to rob a store," for example? How about an announcement in the church bulletin about the arrest of Tamara Carter or Britney Davis? Rev. Jeremiah Wright represents one aspect of the black church. When you attack him as a reverend, you are attacking the black church experience. The black church is the last of the strong institutions we have in the black community. When it says and does nothing to stem the tide of violence and mayhem that comes from the households of its members, then it is as much to blame as those who wreak the havoc. As for those Obama girls, I hope they become the model to which all our young girls aspire. Those five would-be robbers have already proven they needed one! Confession - I showed skin at the Prom! Who will replace our AGING ELECTED OFFICIALS????? WHAT MAKES A MAN ABANDON HIS CHILD? THERE ARE SOME SICK BLACK FOLKS OUT HERE!